When I think sonnet, I think Shakespeare. His sonnets were an integral part of my growing up years and many of my childhood memories include curling up on the couch with a tattered copy of Shakespearian sonnets in my hand. Then I could escape to the beautiful land of magical words created by him. So deeply were the two words inter connected in my mind, that for a long while, I thought that Shakespeare was the one who introduced the sonnet form. Imagine my surprise when I found that neither was Shakespeare the pioneer of the form nor was it an English form of poetry to begin with. Sonnet is derived from the Italian form sonneta which means 'little song'. The exact origin date of the sonneta is kind of sketchy an various sources cite different information, but everyone agrees that it was written long before the 11th century in Italy. By the 1200's, the sonnet form (from the Italian sonneto, "little song") was set well enough to be defined as Italian poets were writing them: 14 lines are divided into an 8-line problem statement that is resolved in the last 6 lines. Originating in Italy, the sonnet was established by Petrarch in the 14th century as a major form of love poetry, and came to be adopted in Spain, France and England in the 16th century, and in Germany in the 17th. The standard subject-matter of early sonnets was the torments of sexual love (usually within a courtly love convention), but in the 17th century John Donne extended the sonnet's scope to religion, while Milton extended it to politics. Although largely neglected in the 18th century, the sonnet was revived in the 19th by Wordsworth, Keats, and Baudelaire, and is still widely used. Some poets have written connected series of sonnets, known as sonnet sequences or sonnet cycles: of these, the outstanding English examples are Sir Philip Sidney's Astrophel and Stella (1591), Spenser's Amoretti (1595), and Shakespeare's Sonnets (1609); later examples include Elizabeth Barrett Browning's Sonnets from the Portuguese (1850) and W. H. Auden's 'In Time of War' (1939). A group of sonnets formally linked by repeated lines is known as a crown of sonnets. Irregular variations on the sonnet form have included the 12-line sonnet sometimes used by Elizabethan poets, G. M. Hopkin's sonnets of 10-1/2 lines, and the 16-line sonnets of George Meredith's sequence Modern Love (1862). Gli occhi di ch'io parlai si caldamente was one of many written by Francis Petrarch to express grief over the death of "Laura," an unidentified woman who became his ideal of love. Are grains of dust, insensibilities. In the 1500's, William Shakespeare and many others adapted the form to include two more rhymes at the ends of lines than the Italian form used. Although there is still an echo of the shift in tone in lines 8-9, the last two lines of the English sonnet rhyme together and cap off the previous 12 lines. The form into which a poet puts his or her words is always something of which the reader ought to take conscious note. And when poets have chosen to work within such a strict form, that form and its strictures make up part of what they want to say. In other words, the poet is using the structure of the poem as part of the language act: we will find the "meaning" not only in the words, but partly in their pattern as well. The transition from octave to sestet usually coincides with a 'turn' (Italian, volta) in the argument or mood of the poem. In a variant form used by the English poet John Milton, however, the 'turn' is delayed to a later position around the tenth line. Some later poets--notably William Wordsworth--have employed this feature of the 'Miltonic sonnet' while relaxing the rhyme scheme of the octave to abbaacca. The Italian pattern has remained the most widely used in English and other languages. The English (Shakespearean) sonnet, on the other hand, is so different from the Italian (though it grew from that form) as to permit of a separate classification. Instead of the octave and sestet divisions, this sonnet characteristically embodies four divisions: three quatrains (each with a rhyme-scheme of its own) and a rhymed couplet. Thus the typical rhyme-scheme for the English sonnet is abab cdcd efef gg. The English or Shakespearean sonnet, developed first by Henry Howard, Earl of Surrey (1517-1547), consists of three quatrains and a couplet 'that is, it rhymes abab cdcd efef gg. An important variant of this is the Spenserian sonnet (introduced by the Elizabethan poet Edmund Spenser), which links the three quatrains by rhyme, in the sequence ababbabccdcdee. In either form, the 'turn' comes with the final couplet, which may sometimes achieve the neatness of an epigram. Writing modern sonnets does not require any rhyme scheme at all, but the basic thought process of the sonnet should remain intact. Present a thought and then a conclusion. When we take liberties with poetic forms we often create new ones, don't be afraid to experiment with sonnets and make them your own. Certain points to make in mind while writing a sonnet include that sonnets are generally pomes of love and war. Nothing showcases a soulful poem of love more than a lilting sonnet. Certain qualities common to the sonnet as a form should be noted. Its definite restrictions make it a challenge to the artistry of the poet and call for all the technical skill at the poet's command. The more or less set rhyme patterns occurring regularly within the short space of fourteen lines afford a pleasant effect on the ear of the reader, and can create truly musical effects. The rigidity of the form precludes a too great economy or too great prodigality of words. Emphasis is placed on exactness and perfection of expression. 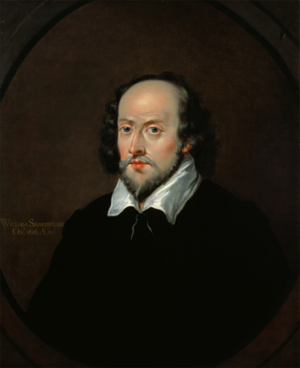 Among the most famous sonneteers in England have been Shakespeare, Milton, Wordsworth, and D. G. Rossetti. Longfellow, Jones Very, G. H. Boker, and E. A. Robinson are generally credited with writing some of the best sonnets in America. With the interest in this poetic form, certain poets following the example of Petrarch have written a series of sonnets linked one to the other and dealing with some unified subject. Such series are called sonnet sequences. Some of the most famous sonnet sequences in English literature are those by Shakespeare (154 in the group), Sidney's Astrophel and Stella, Spenser's Amoretti, Rossetti's House of Life, and Mrs. Browning's Sonnets from the Portuguese. William Ellery Leonard, Elinor Wylie, Edna St. Vincent Millay, and W. H. Auden have done distinguished work in the sonnet and the sonnet sequence in this century. The brevity of the form favors concentrated expression of idea or passion. I suggest you read a lot of sonnets to get a feel of the form, it is actually an easy form and not at all tough to master, but when you read the works of masters like Shakespeare you will realize the depth of the form and the magic that can be achieved with it. Till I meet you next week, I wish you a happy week of writing sonnets, the weather is just right for it. Its time to curl up with a hot cup of cocoa and read sonnets ' preferably written by you.